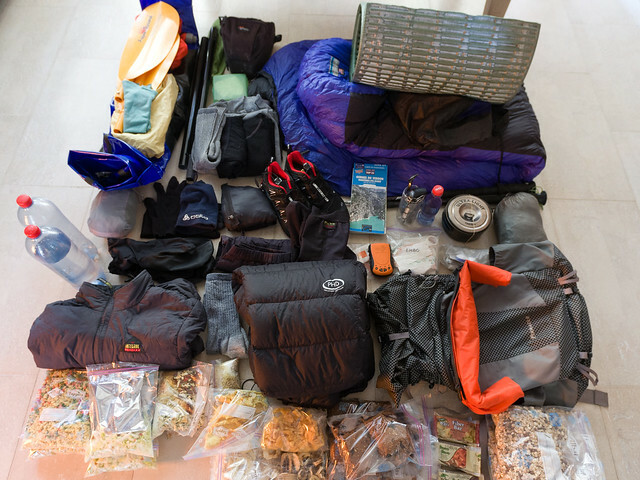 No time left for an extensive gear list, just a short note that I’m leaving for an 11-day trip hiking and packrafting in and around the Verdon Gorge in the French Alpes de Hautes Provence. Those of you interested in my gear list can try to analyze the photo below. I’ve been composing my own dehydrated meals for dinner during the last days. They are based on potato powder, rice and millet. I’ve changed my tour bread recipe a little bit. For the first time I’ve tried to make the bread with liquid stevia instead of sugar and I notice that this is giving a considerable difference. The bread is now much softer and crumbles easier. I’ve thrown a thick layer of insulated clothing in the packlist. Temperatures will be struggling to reach 10°c during the first days and since I will be descending the Verdon river in my open Yak, I risk to get wet and cold much faster. 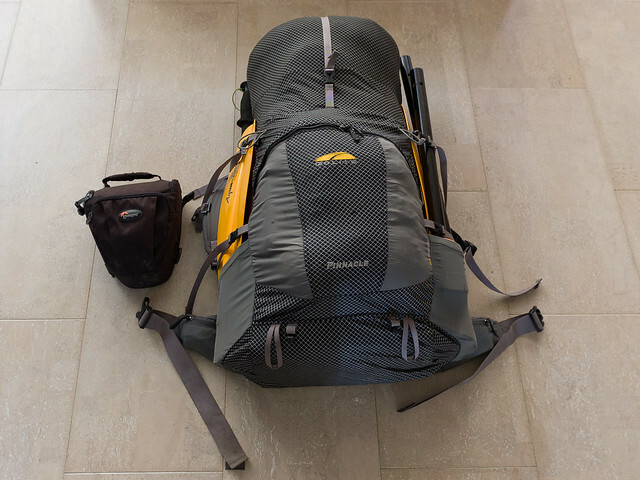 The planned trip includes more hiking than packrafting and so I prefer my lighter open Yak however. I feel like a child now, starting with something that seems like new again. It has been a while now since I’ve been making a more serious trip. This entry was posted in Info and tagged Verdon 201204. Bookmark the permalink. I’ll see you keep loving the tour bread. We have decided to cut that out of our food ratios. The hassle and bad experience for keeping it eatible for more then 14 days, made us switch to mule bars for lunch stops. Cheers! The Verdon Gorge has interested me for a while, although I must admit to dreaming about floating down it in high summer wearing shorts and getting a tan! 🙂 Looking forward to hearing all about it on your return Joery.